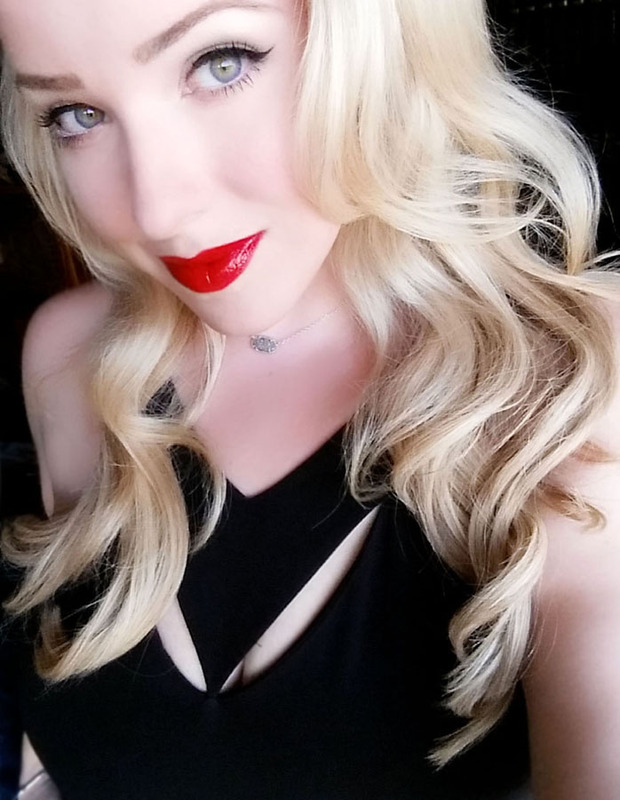 A few weeks ago I shared my simplified contouring routine, now I am dialing it up a notch for a 5 Minute Valentine's Day Makeup Look! 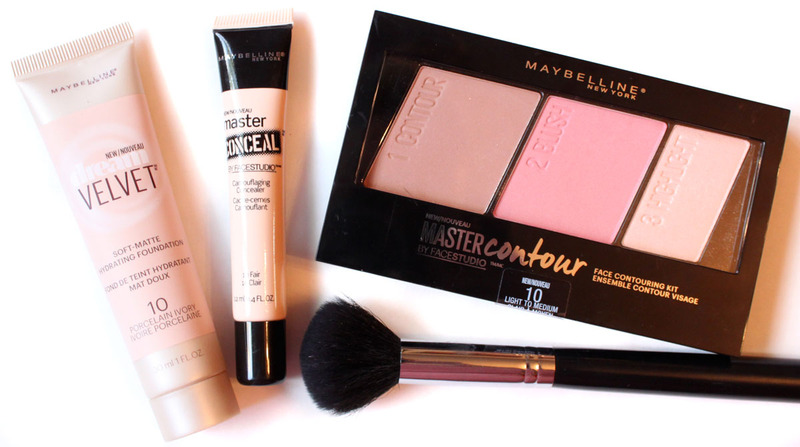 Taking your daytime makeup to evening really is as easy as adding a few more details. Flirty lashes and a bolder lip can transform a no fuss everyday look in to a fancy date or girls night out stunner. 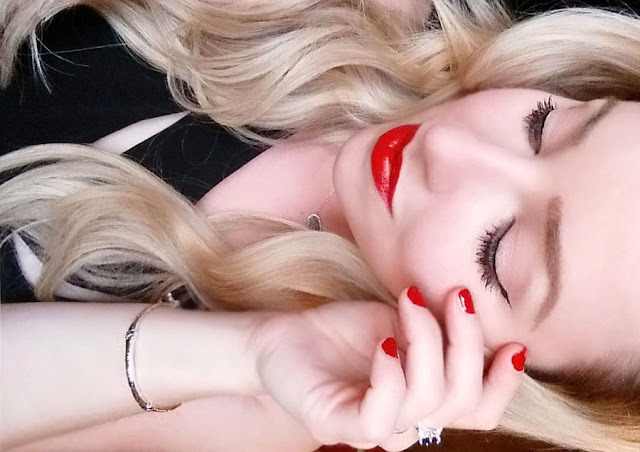 My preferred look on the loveliest day of the year is all about the eyes and lips. Combining alluring shades of soft pink and rich red in a classic makeup style that oozes glamour and romance. It will have you looking va-va-voom in no time! 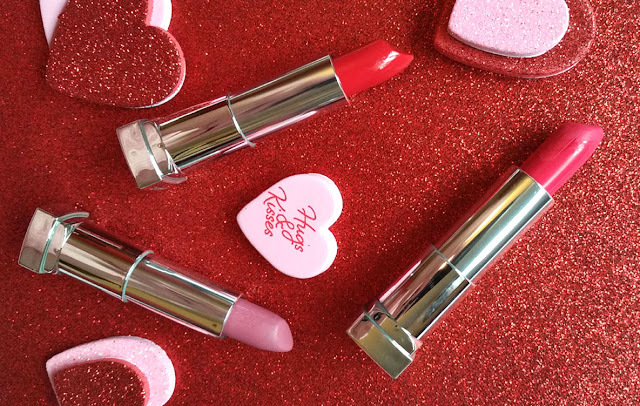 Valentine's Day is the perfect day to glam it up. While we would all love to have a full day to primp for the special occasion that is not always a reality. Busy lifestyles, kids, and work mean finding the time to even put on makeup can be a luxury some days. 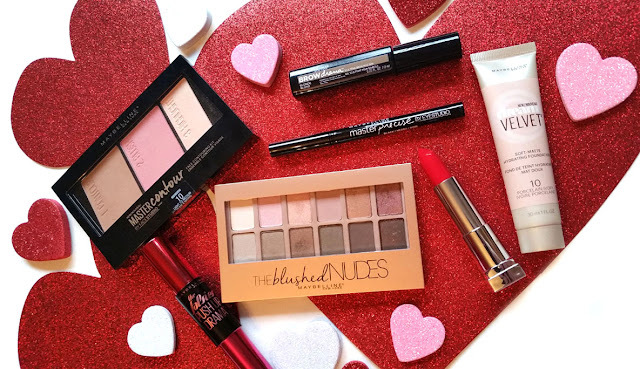 With a few key products from Maybelline a glamorous Valentine's Day look is within reach, and it only takes 5 minutes to do! I begin my makeup look by perfecting the skin with Maybelline Master Concealer in Fair and Dream Velvet Foundation in shade Porcelain Fair 10. Using the Master Contour Palette in Light/Medium I contoured the face and added a flush of pink to the cheeks. Keep a light hand as we want the skin to look fresh and natural. Maybelline Brow Drama adds fullness and definition to the eyebrows with one swipe of the wand. This tinted brow gel offers color, shape, and control all in one step. It cuts my brow routine down to under 30 seconds which is awesome! 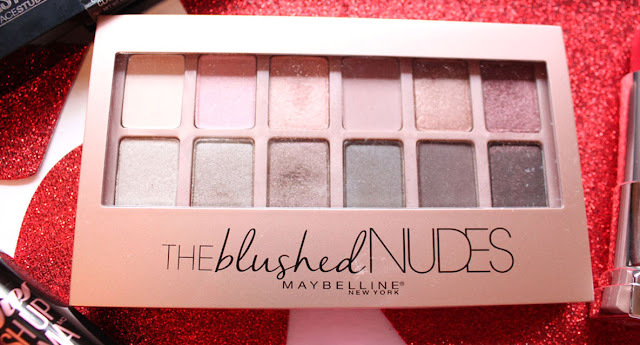 Whether you prefer soft or smokey on this special day The Blushed Nudes Palette is a 12-shade collection curated to create infinite sensuous looks. Infused with rose gold pigments for bolder blushes, provocative plums, and risque roses this palette is a perfect match for Valentine's Day. 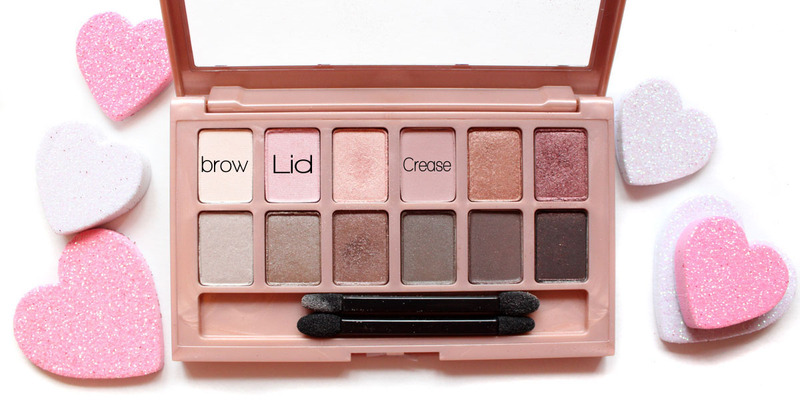 Delicate shades of blush pink create the base for our soft neutral eye. Keeping it simple, I applied three muted shades of pink to lightly define the eyes. Eyeshadow application is the most time consuming part of doing makeup. By sticking to a clean neutral eye we can shave those few extra minutes spent blending off of our eye makeup routine. 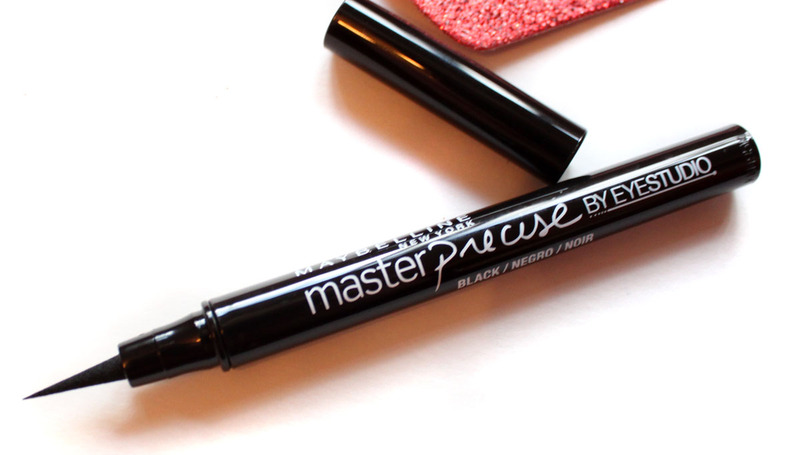 Next we draw further attention to the eyes with Maybelline Master Precise Liquid Liner in Black. I have to say this liquid eyeliner is incredible! The fine tip is so precise, smooth, and lets you get wings sharpened to perfection. Definitely my new favorite black liquid liner. Winging out the top liner ever so slightly will elongate and lift the eyes. For perfect liquid liner I use a three step process. Etch out and fill in the wing, move to the middle, then carefully connect the inner corner. By starting with the thickest part we don't get as heavy handed as we work towards the center of the eye. Also, cotton swabs fix everything! I finish up the eyes with Maybelline The Falsies Push Up Drama Mascara. The push up cup brush with cup-shaped bristles scoops and lifts lashes. While the new creamy plumping formula delivers instant volume and holds lift in place. 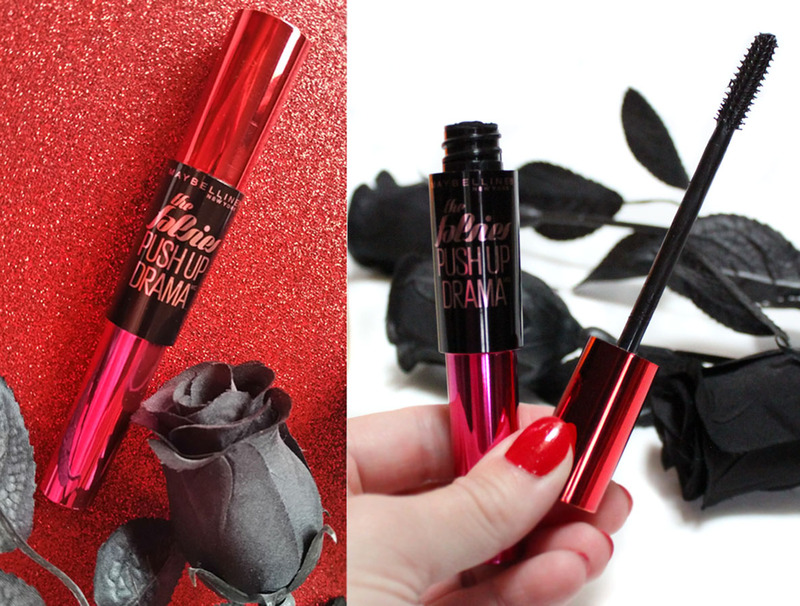 For lashes that will make hearts flutter curl and brush a couple coats of The Falsies Push Up Drama Mascara on to the top and bottom lashes. 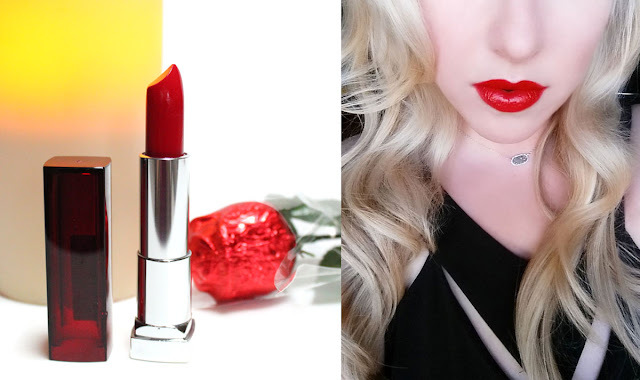 For Valentine's Day luscious lips are the key to any makeup look. Maybelline Color Sensational LipColor is available in a collection of brilliant shades. 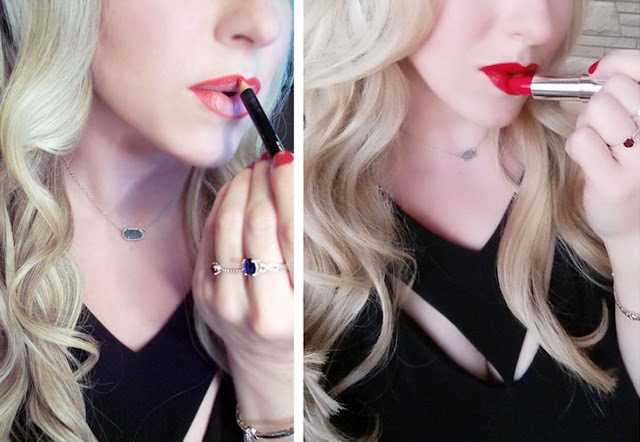 Lip color so rich, so stunning…it's sensational. 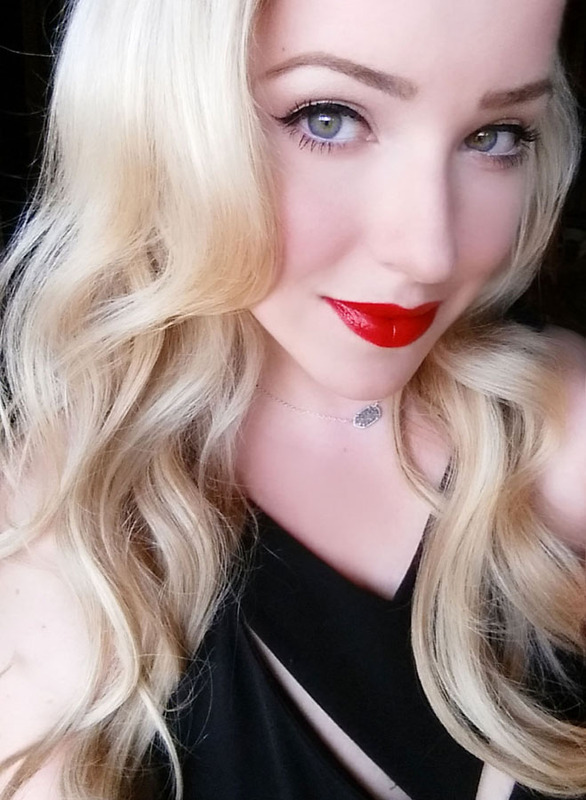 I love how creamy these lipsticks are thanks to nourishing honey nectar, it makes for the perfect kissable lip color! For the ultimate red lip that lasts through dinner and dessert, line the lips fully with a lip liner first then apply lipstick on top. 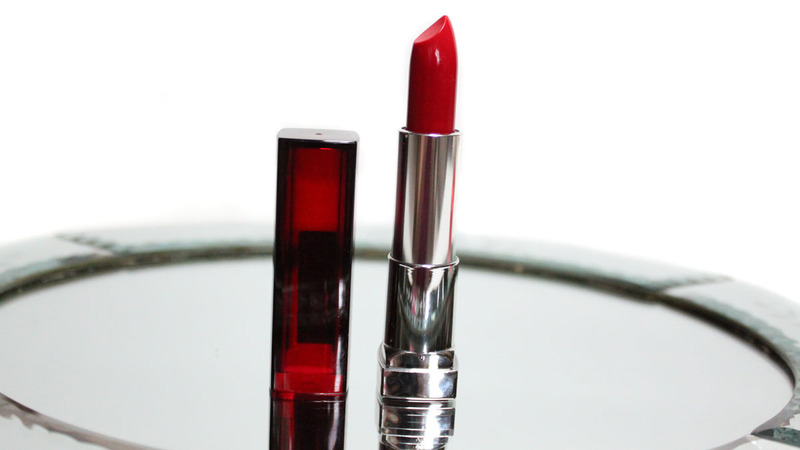 This will help your lipstick stay in place and remain impeccable throughout the romantic evening. Maybelline Color Sensation LipColor in Are You Red-Dy is a bright glossy fire engine red. It is a shade that is sure to draw a few loving looks! Playing up the eyes and lips with a perfect cat eye and glossy red pout will have your date thinking you spent hours getting ready! No one needs to know if we were born with it, or is it Maybelline? 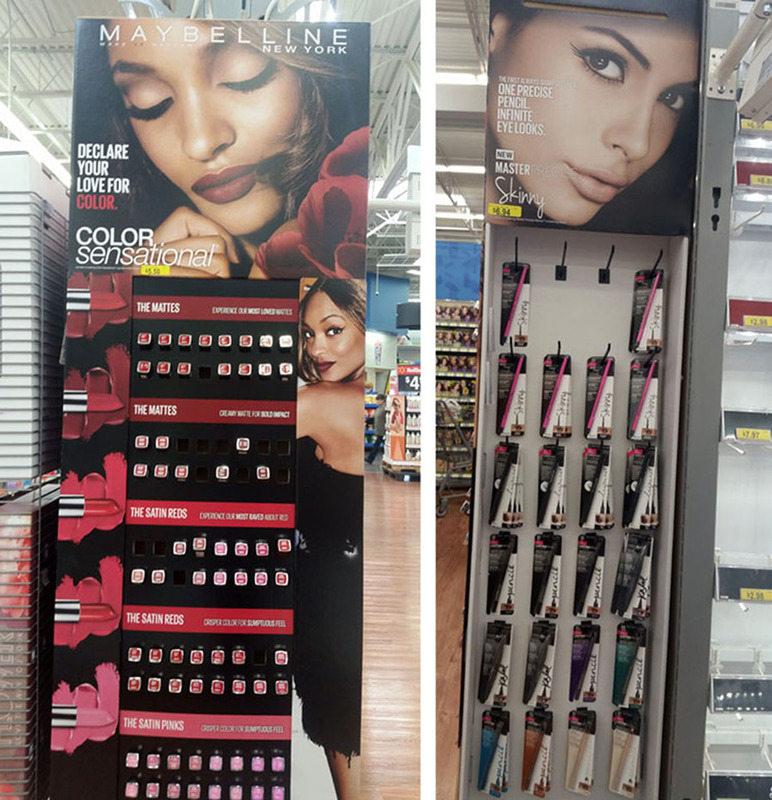 Maybelline Color Sensational LipColor and Master Precise Liquid Liner can be found on an in-store tower display. Look for The Falsies Push Up Drama Mascara and The Blushed Nudes Palette in the Maybelline section of the beauty aisle at your local Walmart. 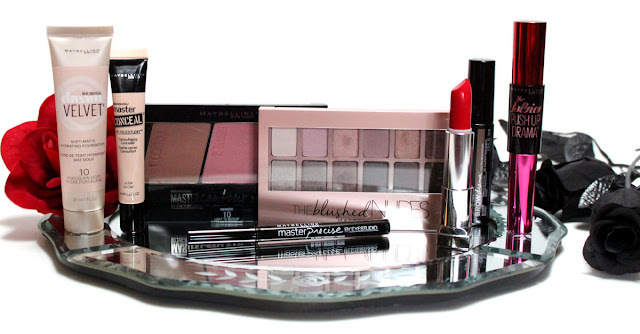 Gorgeous makeup doesn't have to be complicated or time consuming. 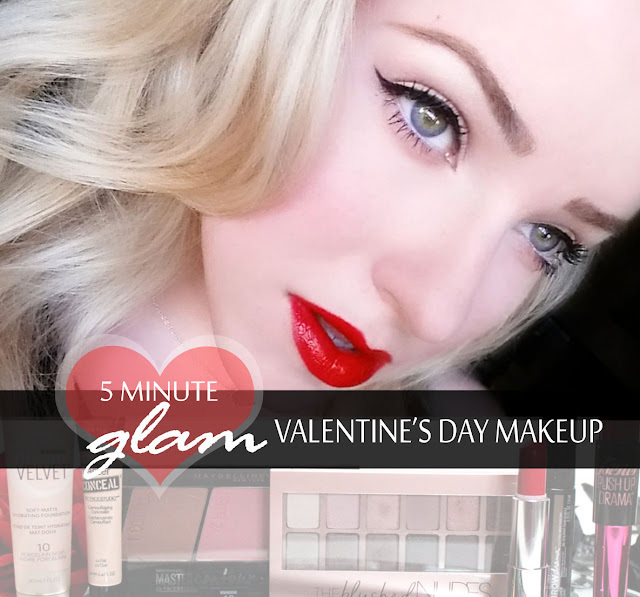 This 5 Minute Valentine's Day look will surely have your date swooning! 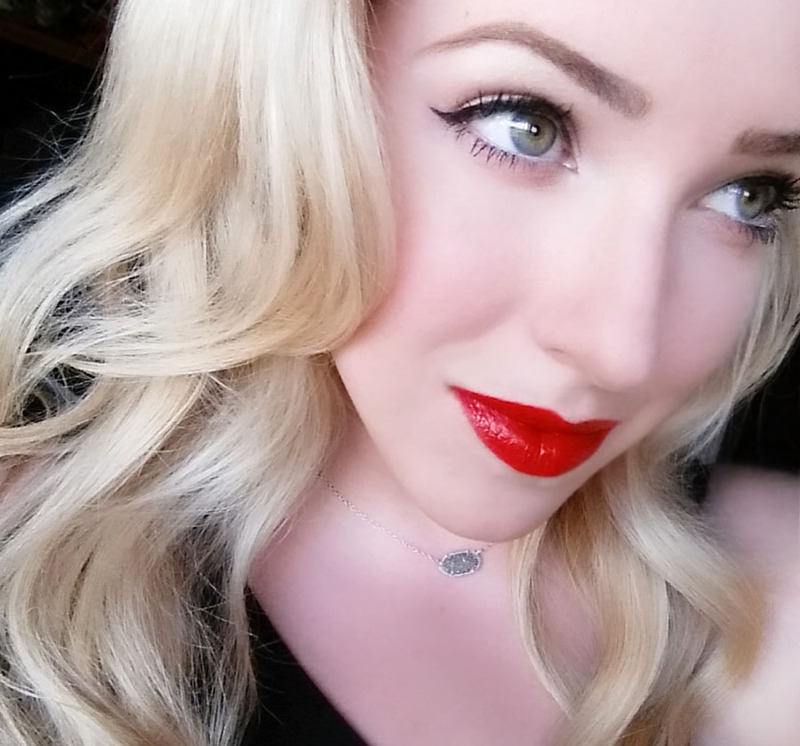 What makeup look will you be wearing for Valentine's Day?